With the mainstay of his job being project manager – alongside a close knit team of project managers, he works across a huge variety of projects throughout the year, and in-between times he oversees a lot of IT logistics for Pearce Hire, covering the website, and the maintenance of their critical Hiretrack NX rental management software. John has been working in the industry for 27 years. He got into the industry when he was as young as 13 – gaining some work experience with a local lighting and sound hire company. As is so often the case, this turned into a Saturday job and casual work in the warehouse and on site, followed by a role at the local theatre in Derby. After completing college, John started work as a performing arts technician which was when he first met Shaun Pearce, MD of Pearce Hire. The rest, as they say, is history! At Pearce Hire no day is ever the same, and John loves the variety of the projects they work on and the diversity of their client base. 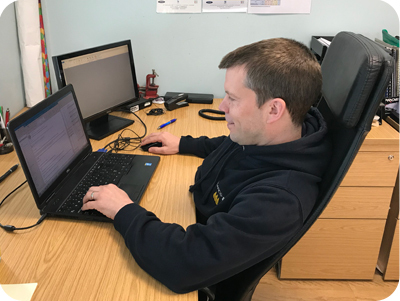 As a Project Manager, John particularly enjoys seeing a project through from start to finish – from the initial ideas sketched on a pad of paper, to seeing the final production being enjoyed by an enthusiastic audience on site. Some of the diverse events he has worked on the past 12 months include the BGL Ball which was one of the largest single lighting jobs which Pearce Hire has ever taken on. He also loves working with the Forestry Commission on their series of Forest Live concerts which take place each summer – mainly because of the wide variety of big name artists they are providing production services for, and also meeting their requirements in challenging Greenfield locations of great natural beauty. John also acknowledges how important it is to like the team you work alongside – which he does! This is particularly important as this industry and the role John fulfils often means long hours and being away from his wife and two children for extended periods of time. The biggest challenge working on productions week in week out are the often tight time scales with the immovable deadlines – the show must always open on time! So managing changes efficiently, effectively, safely and without huge budgetary implications is also a big challenge John and his onsite team are often asked to deliver. Ask anyone in this industry what they do in their free time and they usually scratch their head!! “Free time, what’s that” smiles John! 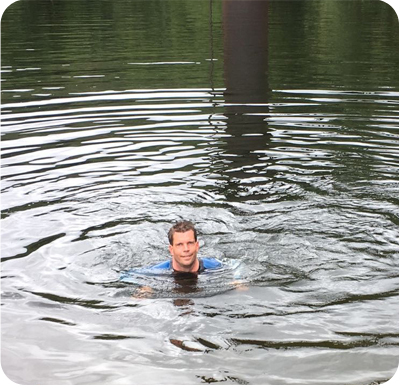 But when he does get some down time, he enjoys the challenge of open water swimming – providing the weather is good enough – and spending precious time with his family. Pearce Hire has an active policy of engaging with the up and coming students of the industry – with a number of apprentices and young technicians gaining work experience at Pearce Hire, and, on occasion becoming full time members of the team. John is always keen to encourage them to acknowledge their skills and ability but to accept that they are just starting out on their chosen career paths and so there is still a huge amount to learn! As he says himself, “I’ve been working in this industry for 27 years and still learning new things every day.” And to work hard – in the knowledge that you’ve done a good job.